Star Wars. The franchise is one of the most famous of all time — the original 1977 film is up there with Gone With the Wind as the most beloved 20th century flick. Unlike Gone With the Wind, the futuristic Star Wars franchise lends itself incredibly well to branded tech gadgets. And also (sadly?) unlike Gone With the Wind, it has its official eighth episode debuting in theaters in just a few weeks. Which means that holiday gift shoppers and superfans alike would love to know which Star Wars gadgets are worth pulling out their credit card for. Here’s our list of the best Star Wars gadgets and gear about which, frankly, we do give a damn. 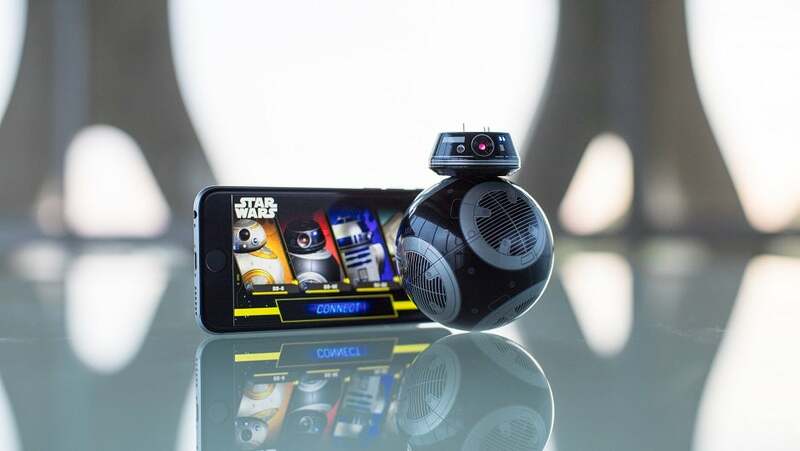 We’d be remiss not to feature Sphero’s ground-breaking spherical robot tech front and center in this list: The startup — which TechCo featured way back in 2011 and most recently caught up with last year — just happened to be positioned perfectly to capitalize on Star Wars fans’ love for the adorable whistling robot BB-8 in 2015’s The Force Awakens. 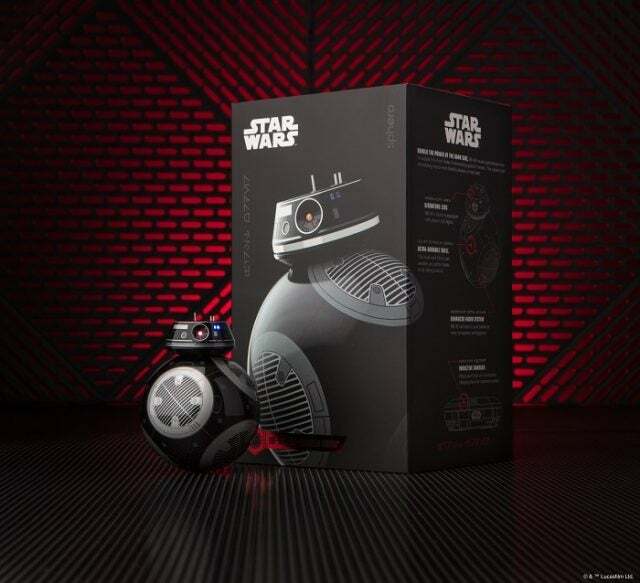 They produced a functioning toy version of the astromech droid, which sold out in 24 hours. This year, The Last Jedi will feature a new evil-twin-esque droid, BB-9E, which works for the other team. Naturally, Sphero is here to deliver another iOS & Android compatible app-controlled roly-poly robot. The 3.5-inch-high bot runs for an hour on one charge and has a 100-foot Bluetooth radius. These 3D LED lamps add a little flair to your room, and all run with a lifespan of 50,000 hours so that you’ll get the most for your money. You can get colors in blue, green, and red, with a variety of Star Wars-themed shapes including a stormtrooper helmet, the millennium falcon, a tie fighter, Darth Vader’s helmet, R2-D2, BB-8, and — my personal favorite — the Death Star. 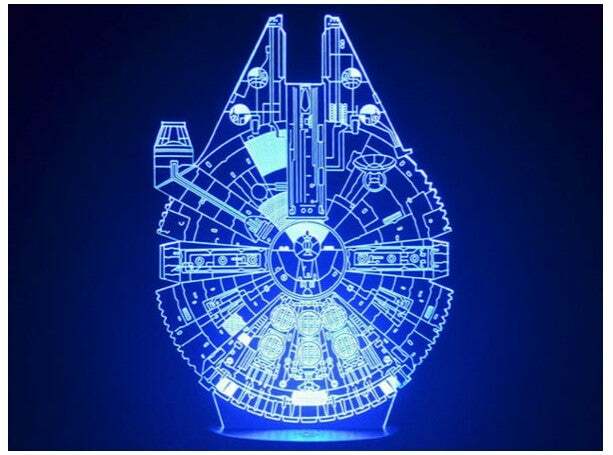 Hey, get it in blue and you’ll have a 3D recreation of the death star plans from A New Hope! Few techies working today can honestly say they never loved LEGOs as a child: The build blocks offer a satisfying way to construct near-infinite variations on any device or setting you can imagine. Adding Star Wars just makes LEGOs better. But they can get a little pricey: A 1,376-piece First Order Heavy Assault Walker will run you $150. 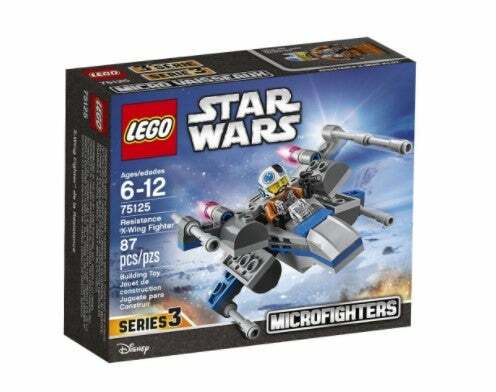 If you just want something cool to pop in a stocking (or just need to bring up your shopping cart price tag high enough to qualify for free shipping), look no further than the Resistance X-Wing Fighter, which costs a paltry six bucks. 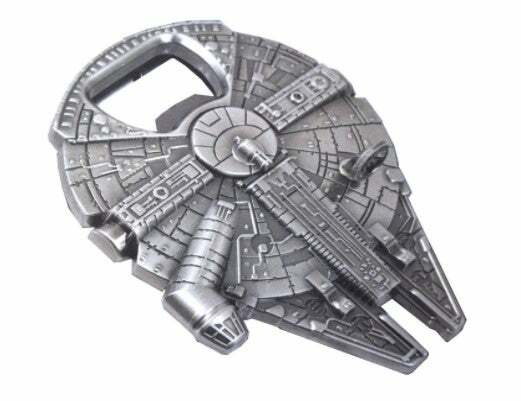 Speaking of the coolest stocking stuffers, you can’t go wrong with this zinc alloy bottle opener shaped like the Millennium Falcon. It’s simplistic in its majesty. Want to get your nieces and nephews something to keep them running around outside all day? This set of walkie talkies provides clear, static-free, 2-way communication. 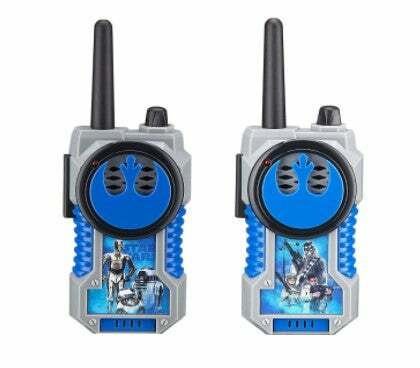 Granted, all that makes these Star Wars gadgets are the stickers adorning them, but you have to admit that walkie talkies are on par with most of the Star Wars universe’s retro-flavored 1970s-era sci-fi. 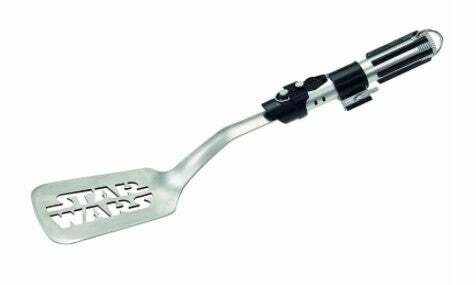 Finally, any Star Wars-loving foodie should own one of these lightsaber-handled spatulas, complete with a die-cut “Star Wars” logo across the business end. Will it make you look like a nerd? Yes. Is that kinda the point? Definitely. Stay tuned for the rest of our guide throughout the season. We’ll be covering holiday guides for Virtual Reality and Augmented Reality, the DIYer, cannabis, entrepreneur, STEM, and various others.